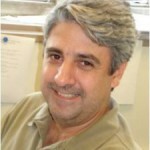 Prof. Marcio Carvalho has been active in micro scale flow research for more than the 20 years. He received his Ph.D. in Chemical Engineering from the University of Minnesota in 1995, with a thesis on the basic mechanisms, experiments, theory and computer aided analysis of roll coating process that makes use of deformable rolls. He worked as Senior Process Development Engineer at 3M Company and Imation Corporation in R&D of pre-metered coating, roll coating and drying technologies. He is now an Associate Professor in the Department of Mechanical Engineering at Pontificia Universidade Catolica do Rio de Janeiro, in Brazil. He is a member of the Graduate Faculty in the Department of Chemical Engineering & Materials Science at the University of Minnesota. His research is focused on several aspects of coating process, non-Newtonian fluid mechanics, micro scale flow of emulsions, flow in porous media with application in Enhance Oil Recovery and numerical methods. Prof. Carvalho received the Young Investigator Award from the International Society for Coating Science and Technology (ISCST) in 2004. His research has been funded by CNPq and FAPERJ (Brazilian Research Agencies) and different companies in Brazil (Petrobras, Repsol, Chevron, Statoil, BG Group), USA (3M, HP, Xerox, Imation), Asia (Fuji Film, Nippon Steel and Samsung).